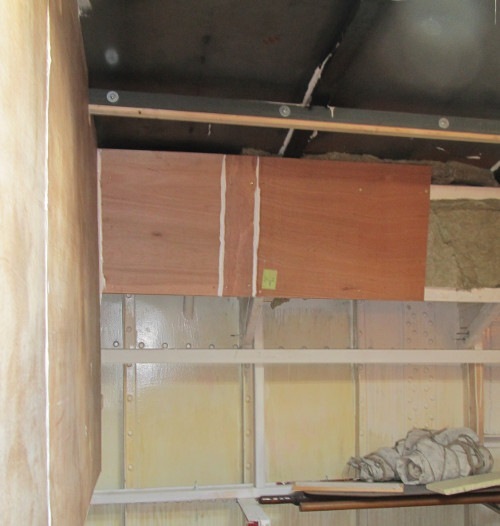 15th July 2014 – Insulating the boat is one of the jobs I don’t like. Nevertheless, it has to be done at some point. 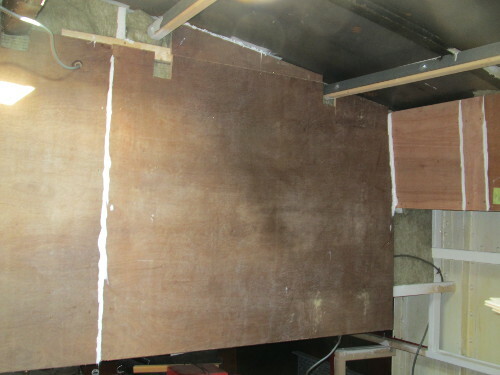 The wall between the bedroom area and the hold got some insulation. Since I had some time left, I cut two sheets of multiplex and mounted them.